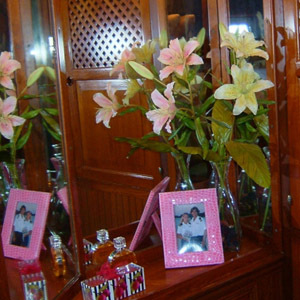 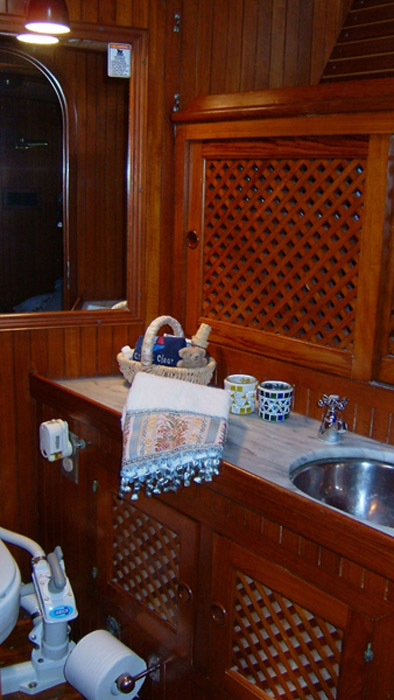 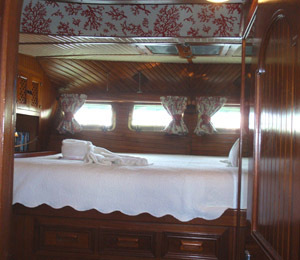 Crystal Clear yacht charters and vacations offer the best in luxurious accommodations. 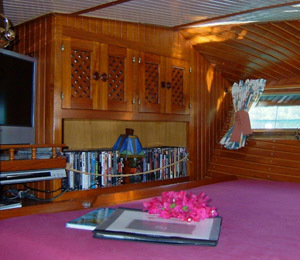 The magic of Caribbean yacht charters is about absolute relaxation, total privacy and seclusion, gourmet meals, personal service, water sports and no fixed itinerary. 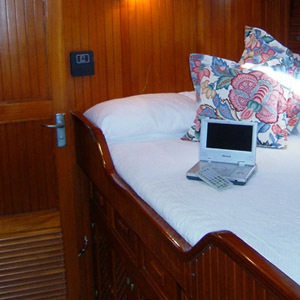 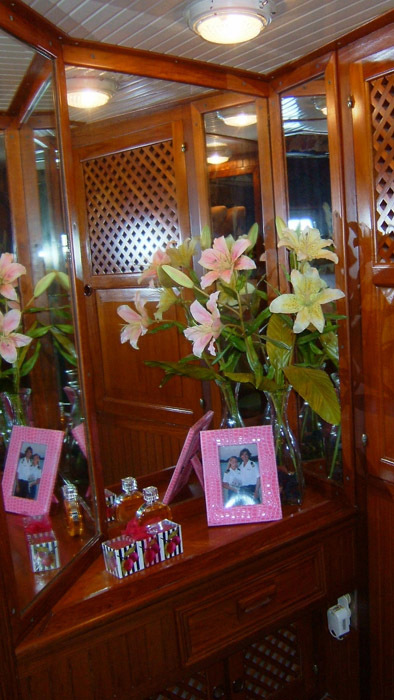 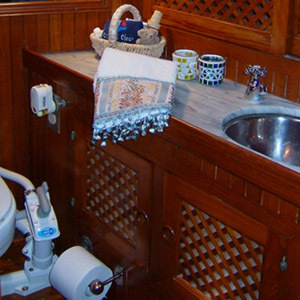 Caribbean yacht Crystal Clear offers comfortable accommodations for two couples in unusually spacious guest cabins. 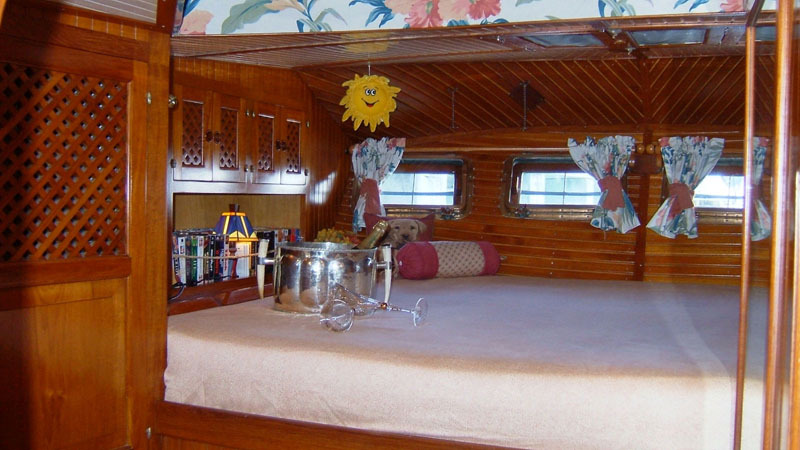 The roomy master suite has a rich feel, decorated in colorful fabrics, with a King size berth and equipped with its own private head and shower. 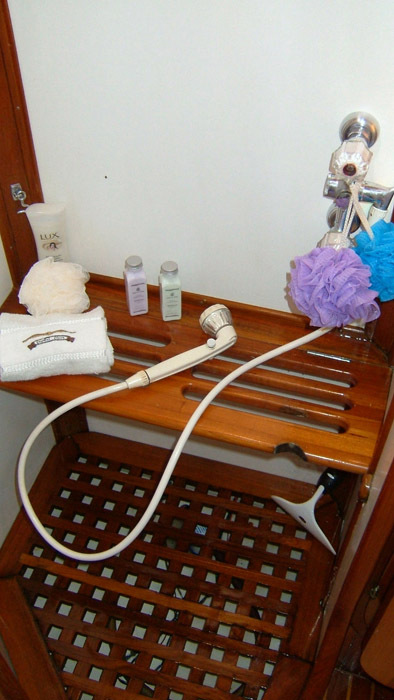 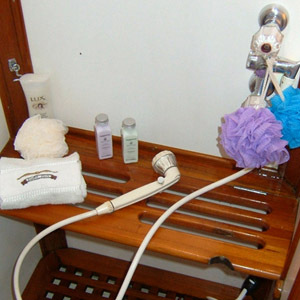 The double forward suite also has its own private head and shower. 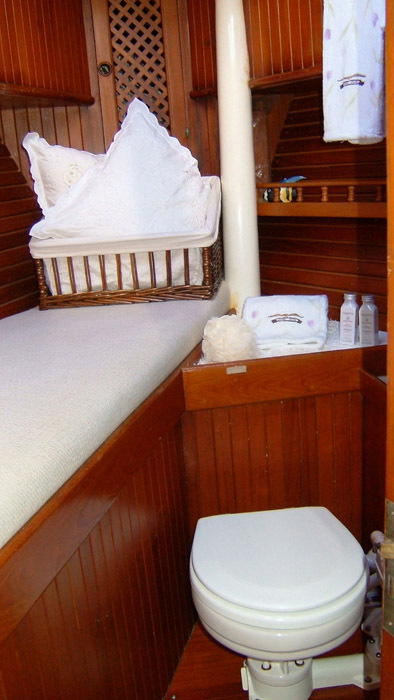 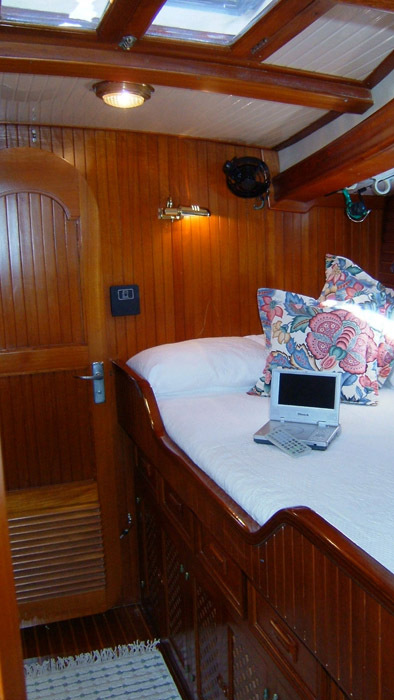 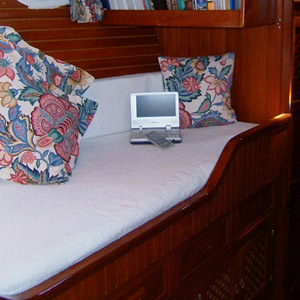 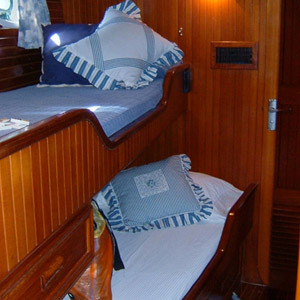 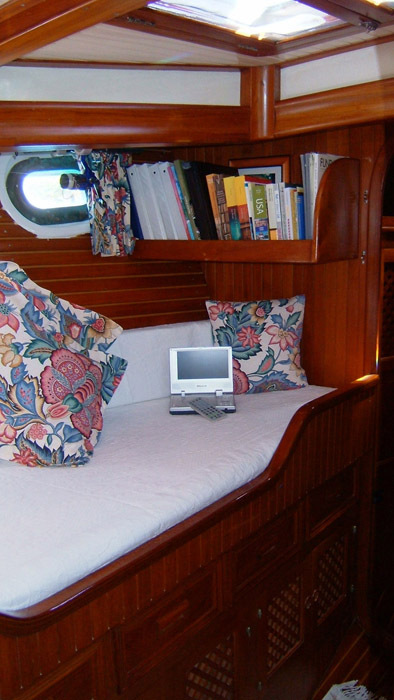 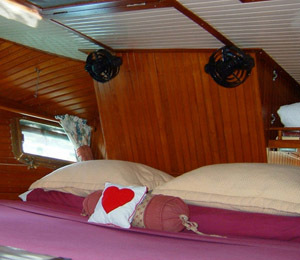 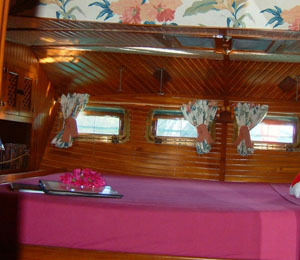 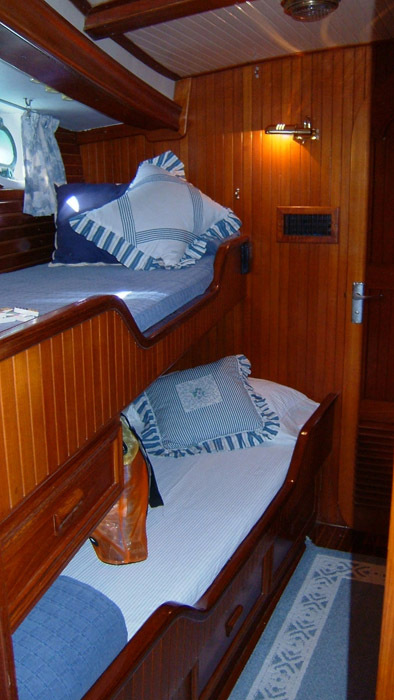 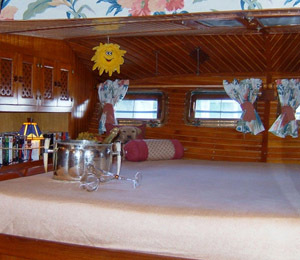 A charter party of four guests will find Crystal Clear elegantly appointed and especially spacious and comfortable. 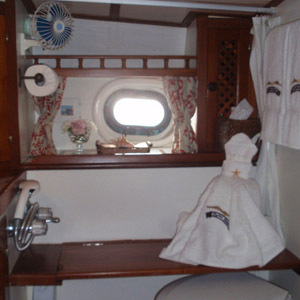 The crew has their own cabin with head and shower. 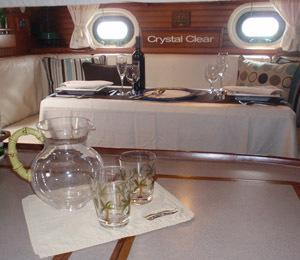 Caribbean yacht charters on board Crystal Clear will provide you with a long lasting impression of luxury, hospitality, comfort and exceptional cuisine. 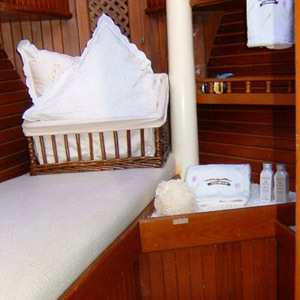 Yacht vacations on Crystal Clear is very much like staying in an exclusive villa with professional full-time staff to cater to your every need. 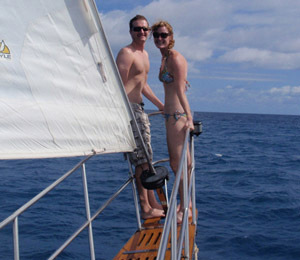 The great advantage is that your yacht can move from anchorage to anchorage or another island every day. 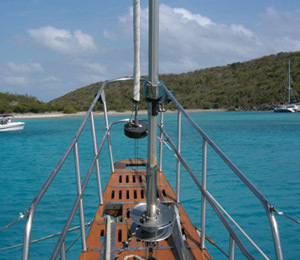 Its totally up to you to decide on the itinerary. 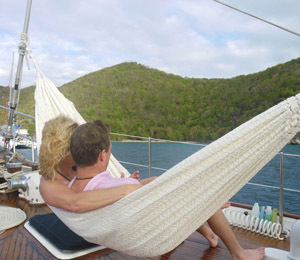 If all you want to do is relax in a shady cockpit or hammock, sunbathe, read a book, swim and snorkel or chat with friends then by all means, or perhaps you want to go ashore and explore little villages, hill climb or shop in local markets.